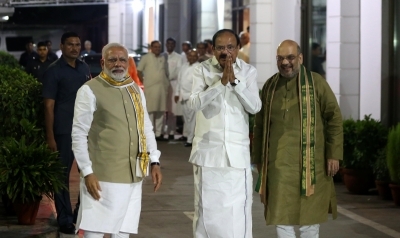 New Delhi, July 17 (IANS) Information and Broadcasting Minister and senior BJP leader M. Venkaiah Naidu has been nominated the ruling NDAs vice presidential candidate, BJP President Amit Shah announced here on Monday. 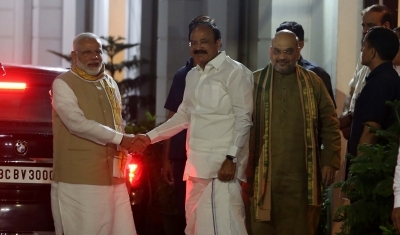 Shah said that Naidu is “among the senior most leaders in India across party lines”. Naidu has served twice as BJP President and has been a member of the Rajya Sabha for four terms. 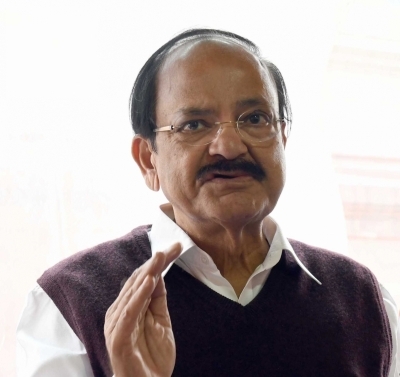 “All the members of the National Democratic Alliance (NDA) have welcomed Venkaiah Naidu’s candidature for Vice President,” Shah said. Naidu will file his nomination on Tuesday. The opposition has already declared former diplomat and Mahatma Gandhi’s grandson Gopalkrishna Gandhi as their candidate.